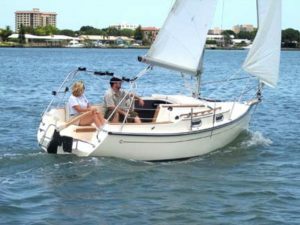 Trailer sailers are some of the most affordable, versatile, and adventure-ready sailboats on the market. It’s no wonder they have an almost cult following. 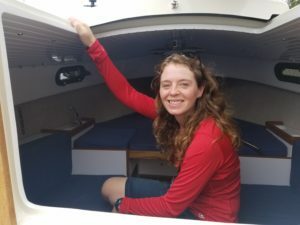 Not only can they save hundreds of dollars a month in moorage, they also allow their owners to venture beyond local waters. I once met some adventurous souls who trailed their MacGregor all the way to Mexico and camped in their boat on the side of the highway. 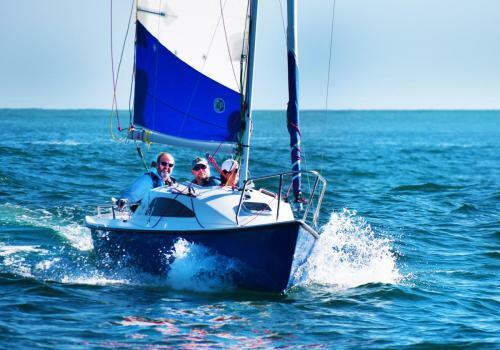 With many trailer sailers selling new in the $20 to 30K range, it’s a great option for first-time boat buyers who don’t have the time to maintain an older boat or the budget for monthly moorage fees. 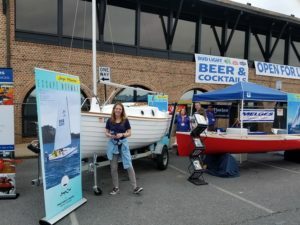 At the most recent Annapolis boat show we had the opportunity to get a close-up look at some of the latest sailer-trailer options. Nominated best boat for 2018 by SAIL Magazine, the Malbec 18 proves that good things come in small packages. 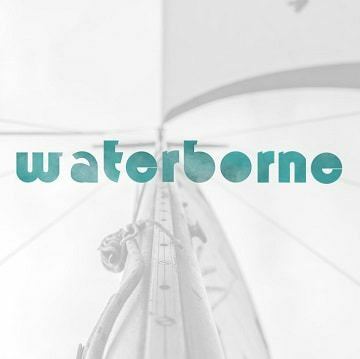 This lightweight and beachable pocket cruiser can sleep a family of four and fits six around the cockpit table – just enough for a pocket-sized party. 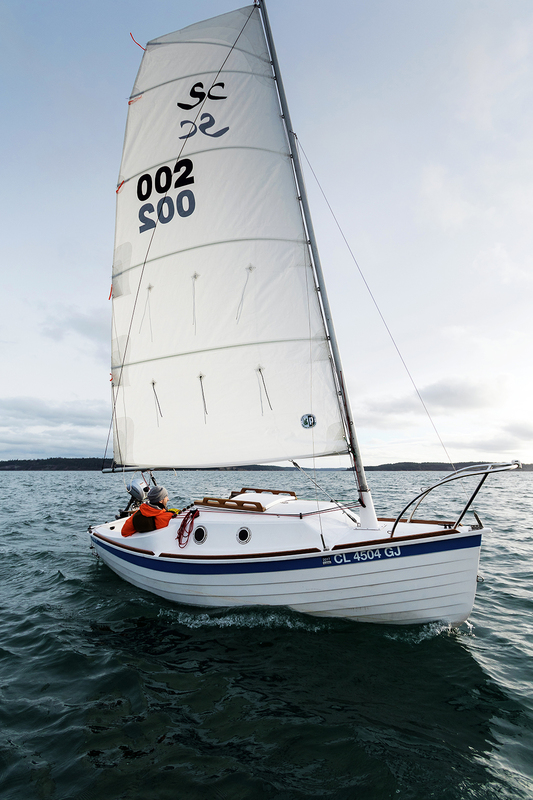 It has a semi-planing hull, swing centreboard, and adjustable backstays for performance tuning. 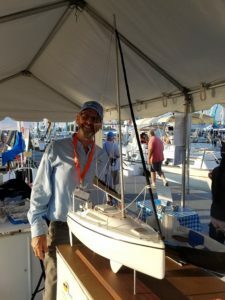 Ken Lange, President of Ventura Sport Boats, has built the tiniest trailer sailer ever! This trailer sailer is big on styling and comfort (well as comfortable as you can be in a small boat!). Modern lines and a plum shallow entry bow give her a streamlined look (unlike many trailerable boats that can look a tad stubby). She features an easy-to-rig mast, and a centreboard that reduces to 1’6”. Living amenities include four bunks, a galley with a one-burner stove and sink, and even a compartment for a portable toilet. This micro-cruiser packs a lot into 15 feet. 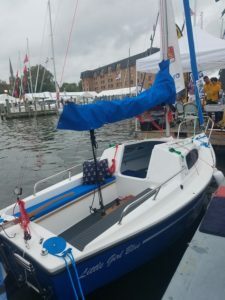 Little sister to the Sage 17, a SAIL Magazine’s best boat award winner, the Sage 15 has a cute little cuddy-cabin with an 85” v-berth, making her ideal for anyone who loves cruiser-camping or daysailing. 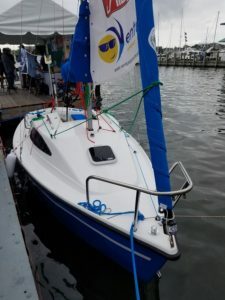 She has an optional cat rig, a single sail instead of a jib and a main, a great set up for new sailors. 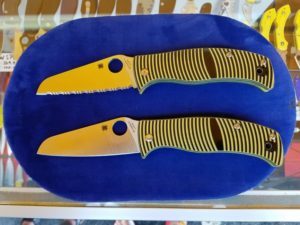 It’s no surprise that this compact little wonder was made by a folding knives designer, Spyderco. 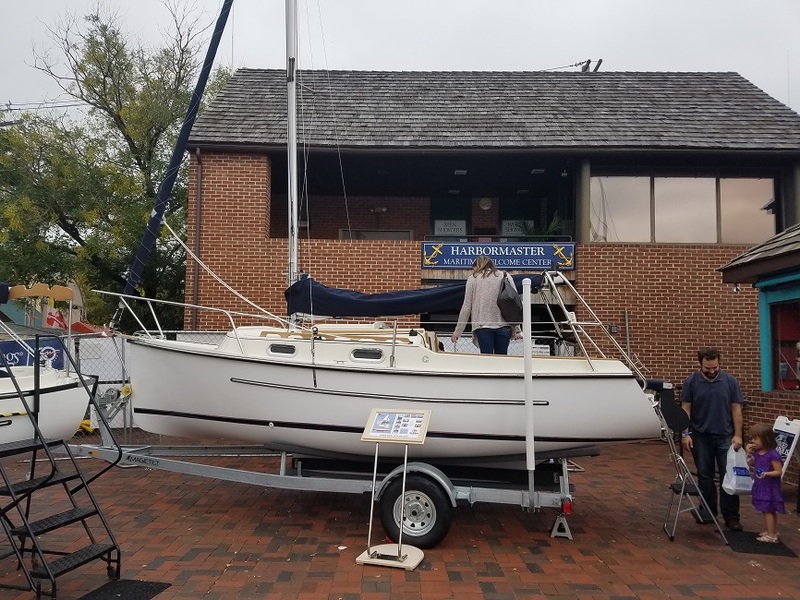 Trailer sailers are the most affordable, versatile, and adventure-ready sailboats on the market. 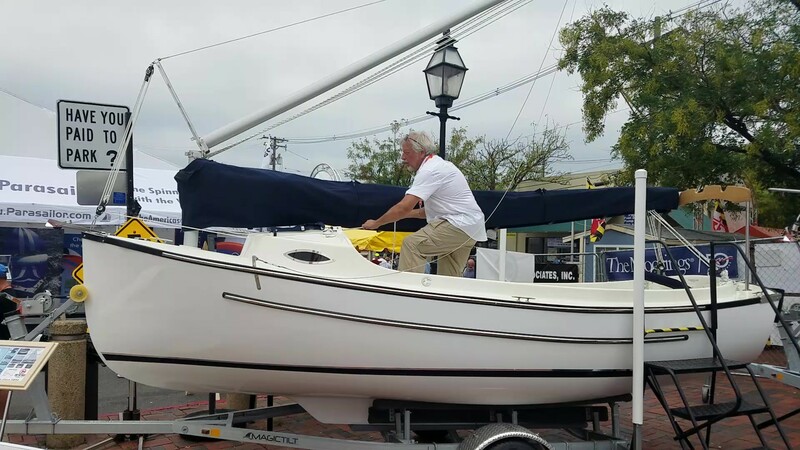 Here are our favorite trailer sailers from the boat show.